The genius who chose emerald as May’s birthstone was on to something. Emerald’s luminous color captures all the greens of spring – a newly mown lawn, leafy trees in sunshine, and the profusion of blooming flowers. Whether showcased as the main event or highlighting other stones, jewelry set with emeralds has the perfect pop of spring color. The single emerald set into the clasp of this detailed Victorian bracelet beautifully accents the detailed granulation and braiding. 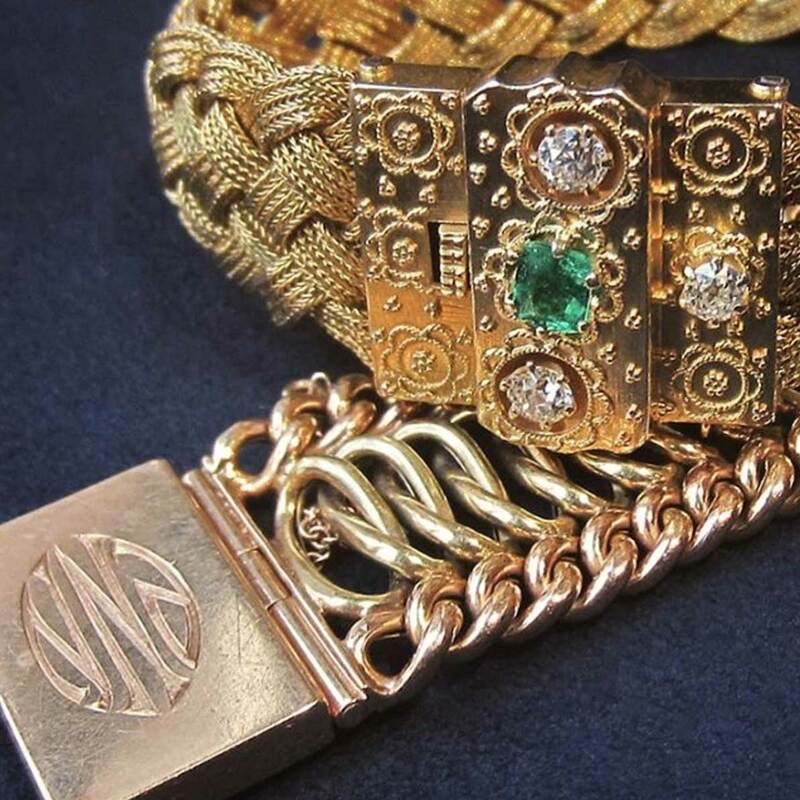 We love the contrast of emeralds with rubies and diamonds. Since green and red are opposite on the color wheel, the combination is very pleasing to the eye (and doesn’t have to be saved just for Christmas!). 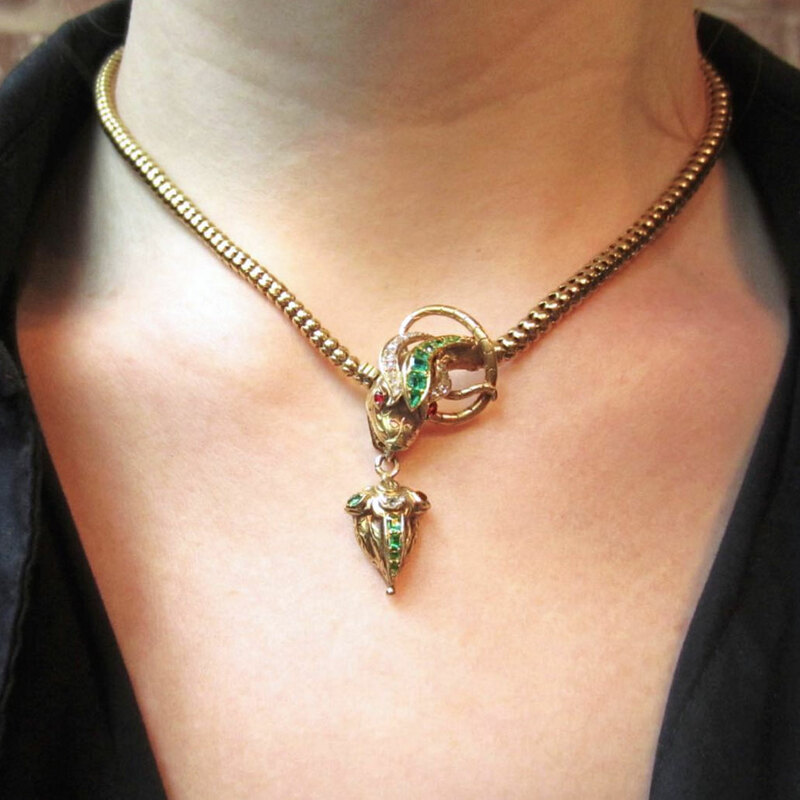 As a romantic gift, you can’t go wrong with Victorian snake jewelry. This exquisite snake necklace, dating to 1870, even has a locket compartment on the back of the drop for a photo or a tiny love note. 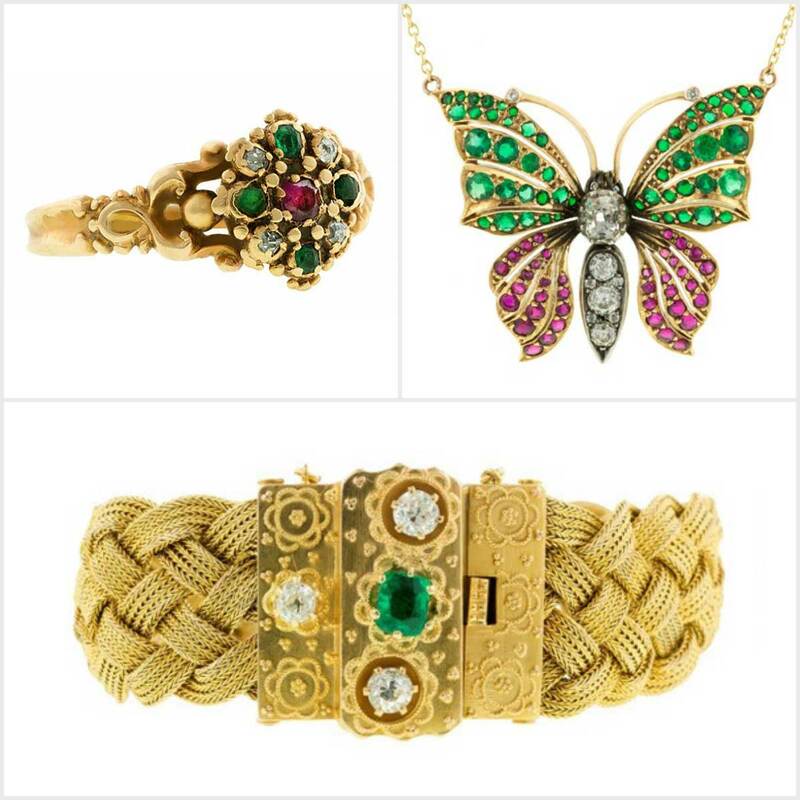 Gold brings out the warmth of emeralds and we love adding in diamonds for extra sparkle. 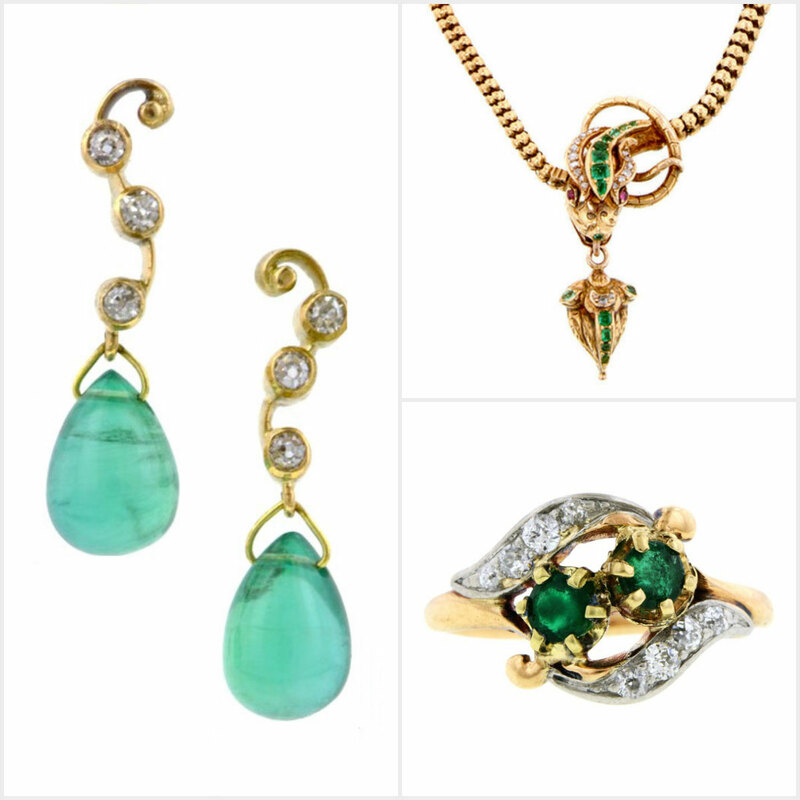 Edwardian and Art Deco jewelry was often set with emerald accents. The stones were calibre cut, meaning they had to be specially cut to fit precise sizes. 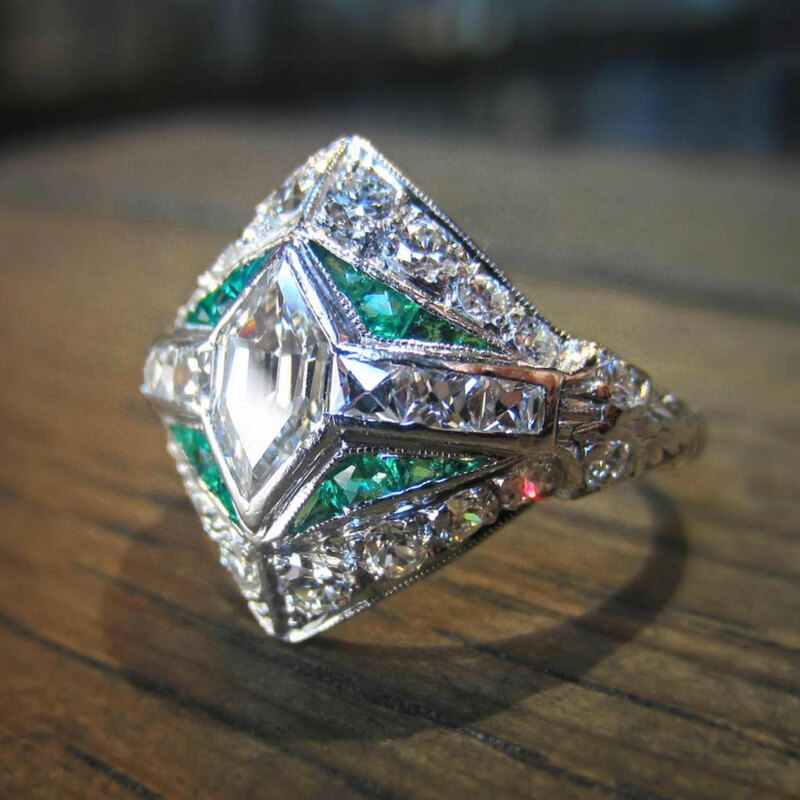 This Art Deco influenced 1940s ring showcases geometric emeralds that highlight the hexagonal and square diamonds. 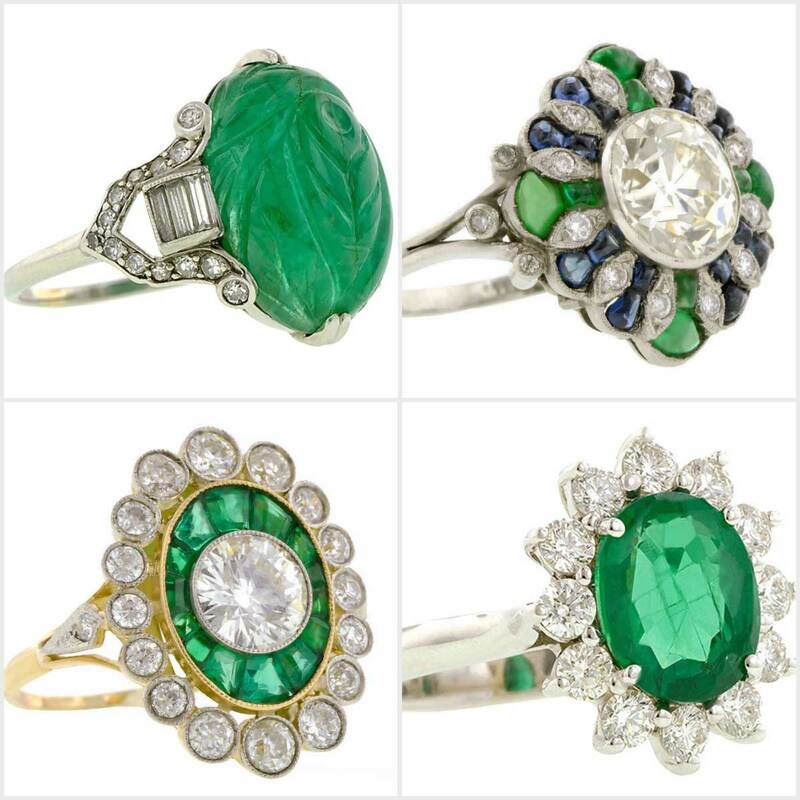 The perennial popularity of emeralds mean that there’s a huge variety of emerald rings, including Art Deco carved cabochons and vintage cocktail rings. Proposing to a May baby? 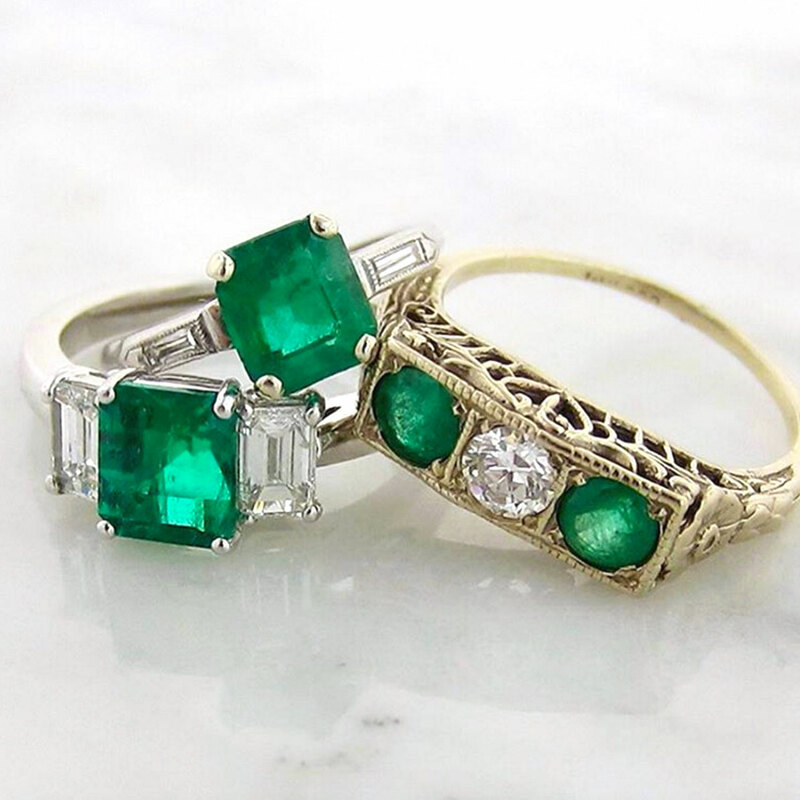 Emeralds are a fragile stone and not well suited to everyday wear, but a vintage diamond ring with emerald accents gives the pop of color while still being a ring she can wear everyday.